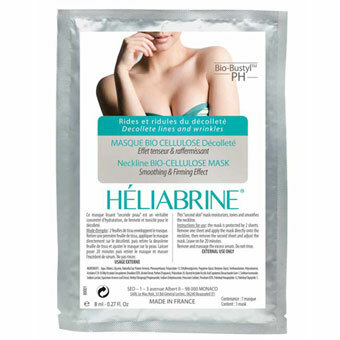 HELIABRINE Neckline Bio-Cellulose Mask: Moisturizes, tones and firms the neckline.”Second skin” effect. 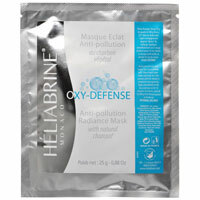 Replumps and smoothes lines and wrinkles. Delicate fragrance with sunny floral notes of Monoï. The mask is portected by 2 sheets. Remove one sheet and apply the mask directly onto the neckline, then remove the second sheet and adjust the mask. Leave on for 20 minutes. Remove and massage the excess serum. Do not rinse. Recommended whenever your skin needs it. At the end of summer season, we recommend a course of 5 consecutive treatments with 1 treatment each week.